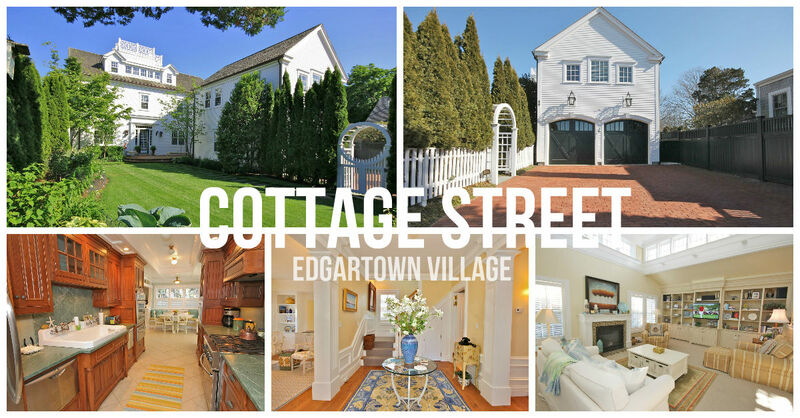 Among the picturesque streets of Edgartown Village sits a sophisticated and stately residence. Designed by noted Vineyard architect, Mark Hutker, the home showcases exceptional mill work, inspiring architectural elements and modern amenities which result in an understatedly elegant yet comfortable interior. With three levels, the floor plan is uncompromising and most accommodating. Multiple gathering spaces and 6 bedrooms make this a must see for the discriminating buyer who wishes to enjoy village living with family and friends. Enjoy an easy walk to Fuller Street Beach, the harbor and boutiques and restaurants of Main Street. This offering includes fine furnishings and the most tasteful decorative accessories and homewares.